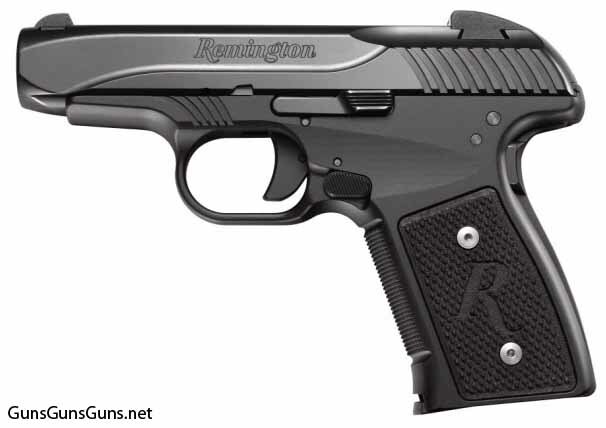 Summary: The description, specs, photos, pricing and user ratings for the Remington R51 pistol. The Remington R51 semiauto pistol is built on an aluminum alloy frame and chambered in 9mm. Remington says it’s a modern take on its Model 51 pistol, which was designed in 1915 by John Pedersen. The R51 from the left. a lowered and flared ejection port. Remington says the pistol can handle 9mm +P ammunition. 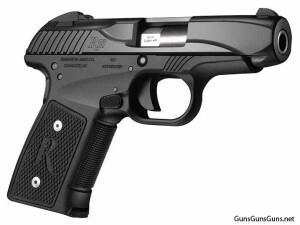 You can get it with a Crimson Trace laser sight, and a threaded barrel. The company says the R51 will be available in the first quarter of 2014. The R51 from the right. This entry was posted in $251-$500, $501-$750, 9mm, Compact, Remington, Semiauto, Subcompact on January 16, 2014 by Staff. Disaster. 9 rds and the slide locked. Armorer and gunsmith could not fix. Sent to Remington during their reorganization, and after 9 weeks of “I don’t know” for fix date or even where it was, I demanded a refund (and got it). Gun is slightly heavier than similar guns (not a polymer). Though a bit narrow for grip, generally felt good, and was easy to aim. Action was medium. The 9 rds were accurately placed, and the 3 brands had no issue. Mags worked fine. Trigger pull was medium. Liked the gun initially. Appears a small, horseshoe spring is critical in takedown and reassembly, and the ramp (some say gritty, I didn’t think so) feel of the Pederson action was a little different, but not a problem. This could have been a sweet gun, but was either poorly updated from the original or had serious QC problems. Two others at my range had similar problems, one early like me, one with one of the supposedly “fixed” later run guns. Blackened Rem’s reputation with me and co-shooters.